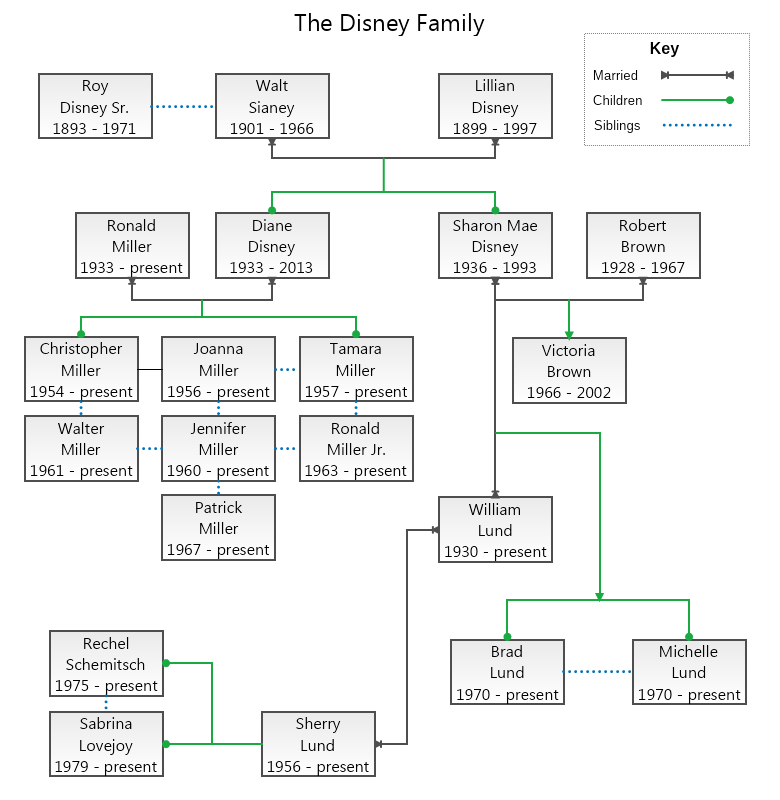 This template represents the Disney family tree. The diagram contains the information of each member’s name, date of birth, date of death, marriage status, siblings relations, and children of each marriage. All this information is described using different connection lines which makes the diagram simple and easy to understand.